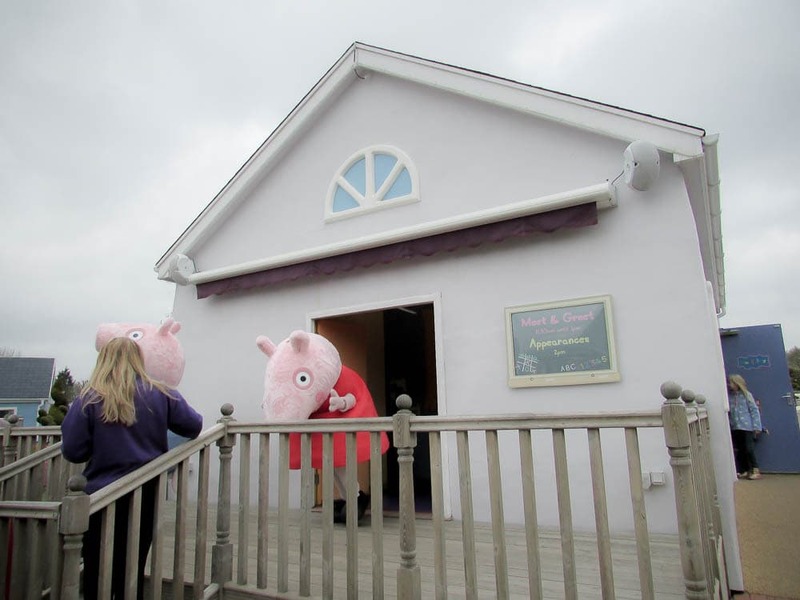 We were recently given the opportunity to review PEPPA PIG WORLD at PAULTONS PARK. We knew that Paultons Park was the home of Peppa Pig World, but we didn’t realise that Paultons Park was an incredible Family Theme Park. When we headed off to the New Forest we were expecting an amazing day out for Miss H, but we didn’t expect that we would have an incredible time too. In fact, I would say it was a really close contest between Miss H and Mr H for who enjoyed the day the most! If you prefer a quieter more traditional Day Out then read about our recent trip to Forty Hall. Q. The 1 BIG reason you should visit Peppa Pig World? A. Fun! As you will see from my review and the photos below, we had an amazing time at Peppa Pig World; it really is the perfect theme park for under 5’s. Paultons Park is essentially 3 family theme parks in one. There is Peppa Pig World for the under 5’s and Critter Creek & The Lost Kingdom for the older children and adults. There is also a whole host of other things to see and do like the 4D cinema, the Victorian carousel, the beautiful gardens & lake and the birds & animals. We had a toddler that was so excited for this trip that she did not sleep for 2 nights, so we decided to head into Peppa Pig World first. I could not believe how amazing Peppa Pig World was & our 2 year old was in absolute awe of it. Miss H is a massive Peppa Pig fan and for her it was like being immersed in a fairy tale world for the day. She could not wait to try out some of the rides. I really like how the rides are themed after particular episodes or things that happen in the show and it really makes young children believe that it is all real. After the slide, it was time for the Meet & Greet with Peppa & George. We queued for about 15 minutes to meet them. All the children in the queue were so excited it was lovely to see. Miss H is usually really shy at anything like this but this time she was not shy at all. The staff made Miss H feel really at ease and she even gave a high five both Peppa & George. After the excitement of meeting Peppa & George it was off to ride Miss Rabbit’s Helicopter. This ride was the one Miss H was most looking forward to before our trip. Next up it was time for the penguin show. I have to say that Miss H was a little fidgety during the penguin show as she has seen loads at our local zoo and really just wanted to get on and see Peppa Pig World, so we decided to walk over to Peppa Pig’s Balloon Ride which she thoroughly enjoyed. After the balloon ride the sun started shining so we all decided to make the most of it and go on Granddad Pig’s Boat Ride. This was my favourite ride, I really could have stayed on it all day. After the boat ride we went on Granddad Pig’s Train, George’s Dinosaur and Daddy Pig’s car. We were really impressed with Peppa Pig World, it was so clean and well kept, well laid out and really good fun! 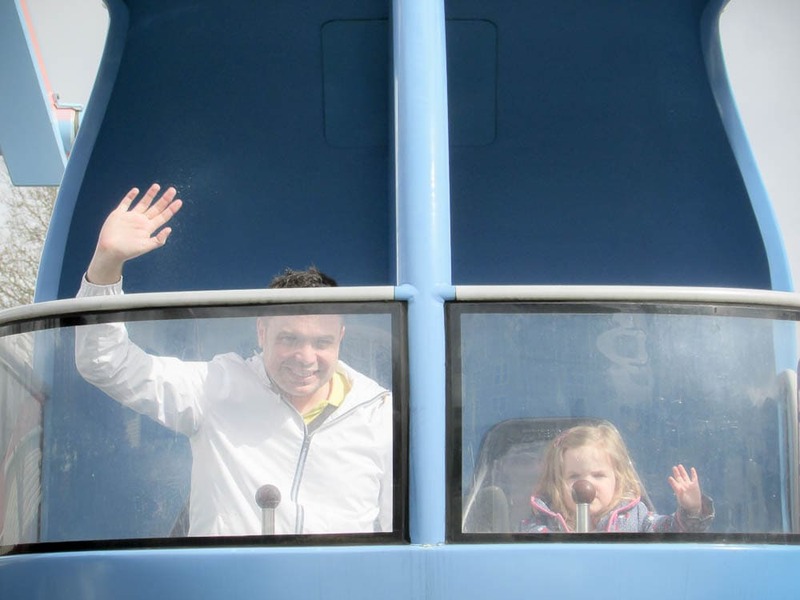 After Peppa Pig World we ventured into the Lost Kingdom and Daddy had fun on all the big rides! 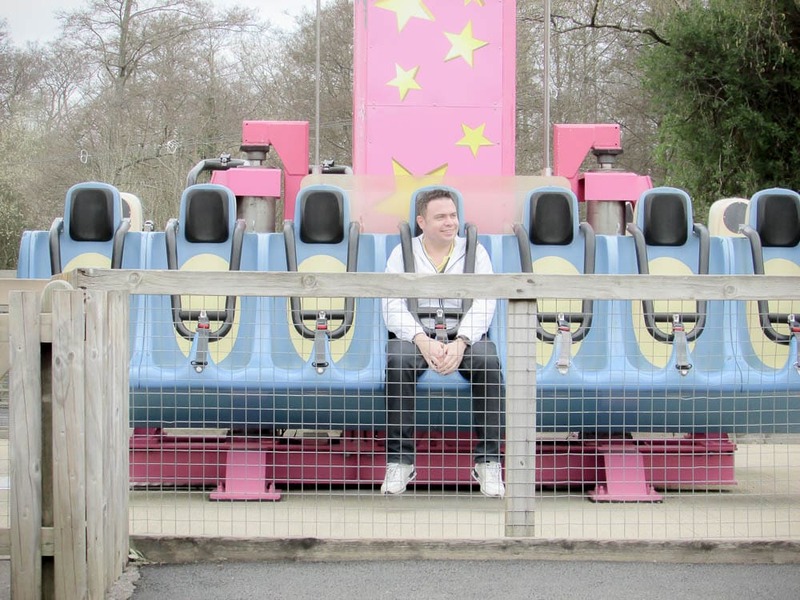 We had an amazing time at Paultons Park Family Theme park and thoroughly recommend it for a fun family day out. If you decide to go, don’t forget to tag us in your photos & videos! If you are looking for an active family holiday then take a look at Potters Resort. Disclosure: We were invited to review Peppa Pig World Free of charge in exchange for this post. This is no way affects the honesty of this post. Thanks for your great share! 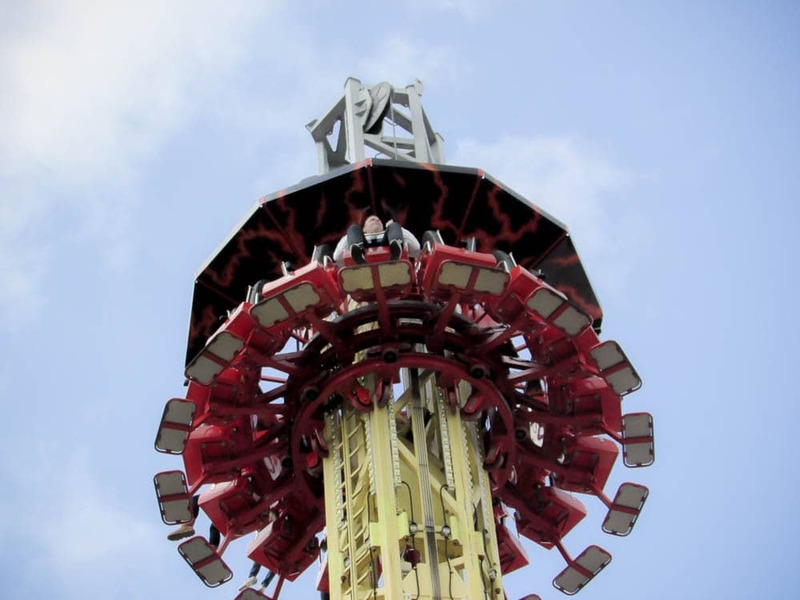 Paultons Park is so thrilling, so attractive, so cool and so interesting with so many different types of thrill rides! It is wise selection for the thrill-seekers! Also it is the great place for the family trips!